There's always a surprising eeriness to old photographs, no matter how happy the tone of the image is. Perhaps it's grainy black and white or the sepia feel to them. Or is it the reality that the people in those historical photos are long dead? These 14 images from history however, take creepy to a different level. Not only because they look extra spooky, the stories behind them are absolutely hair-raising as well. 1. 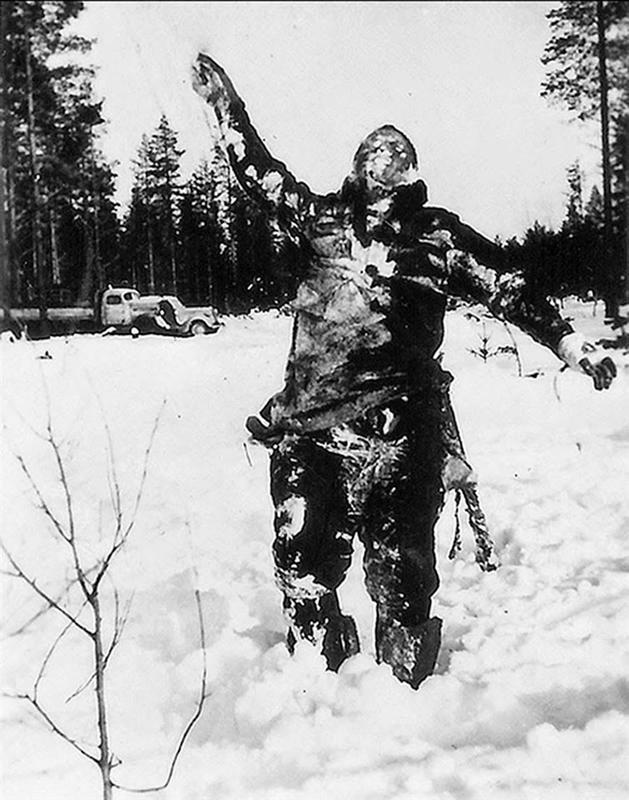 Finnish soldiers propped up this body of a frozen Soviet soldier to scare off Soviet troops. 2. 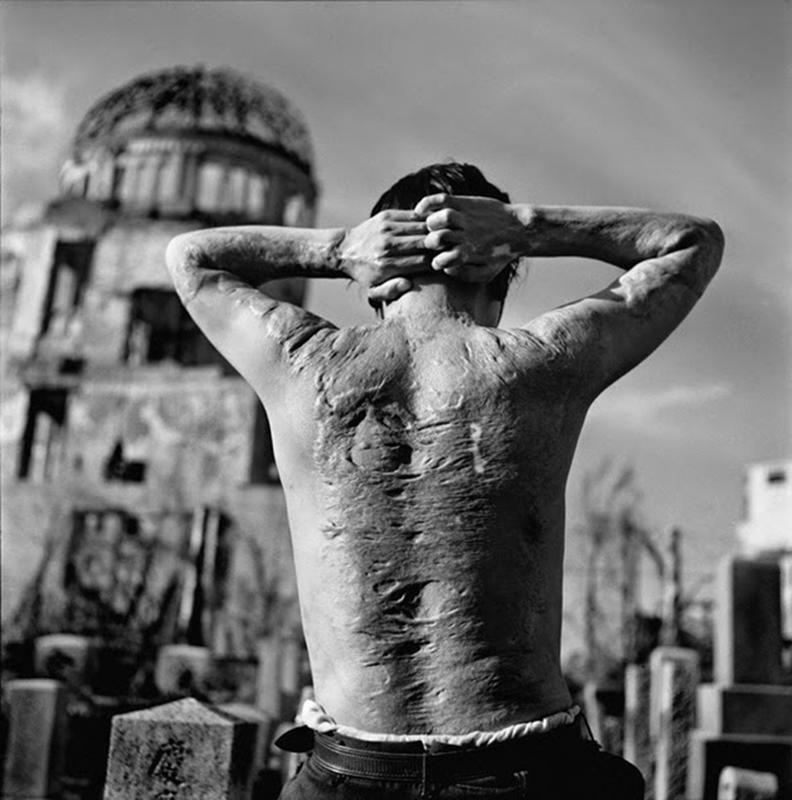 A photo of a Hiroshima bombing survivor's body. 3. 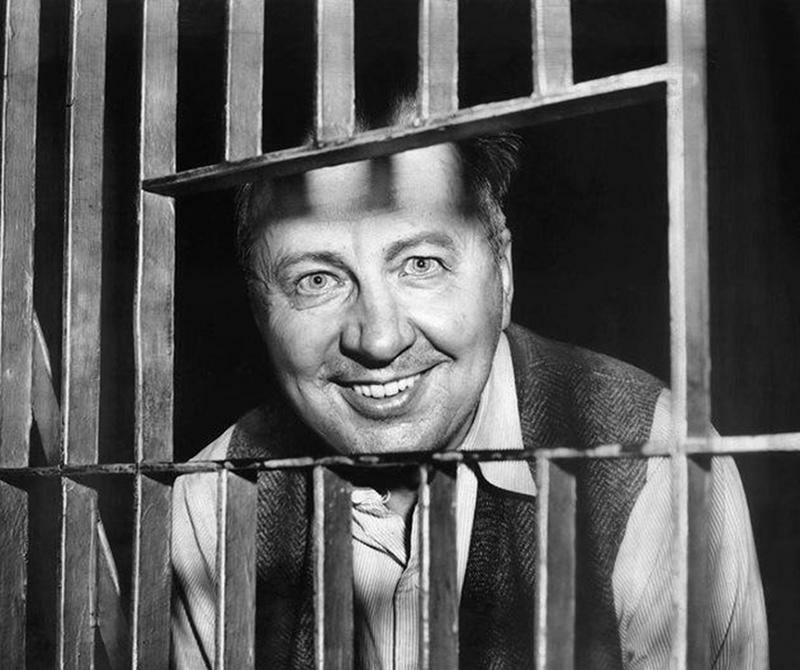 A photo of the Mad Bomber smiling. He placed a total of 33 bombs in public places, 22 of which were detonated. Fortunately, only 15 people were injured. 4. 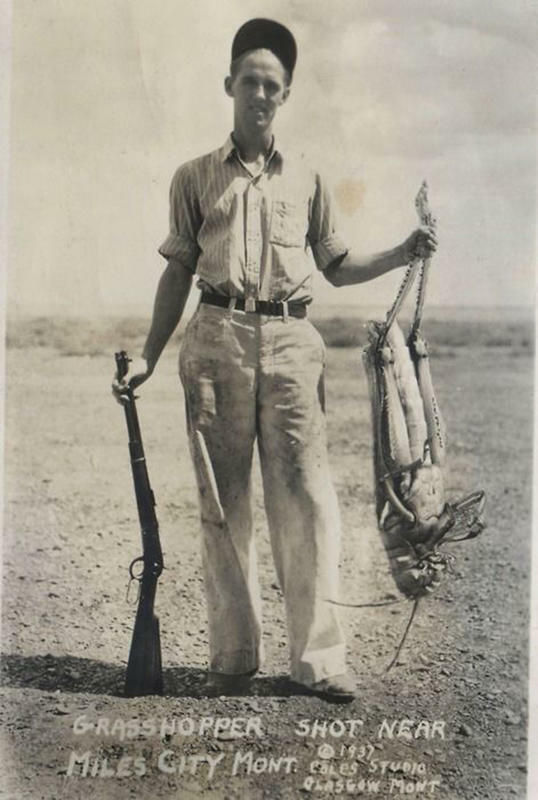 Taken in 1937, this photograph of a man holding what seems to be a giant grasshopper is in fact, a hoax. But this fooled a lot of people back then. 5. 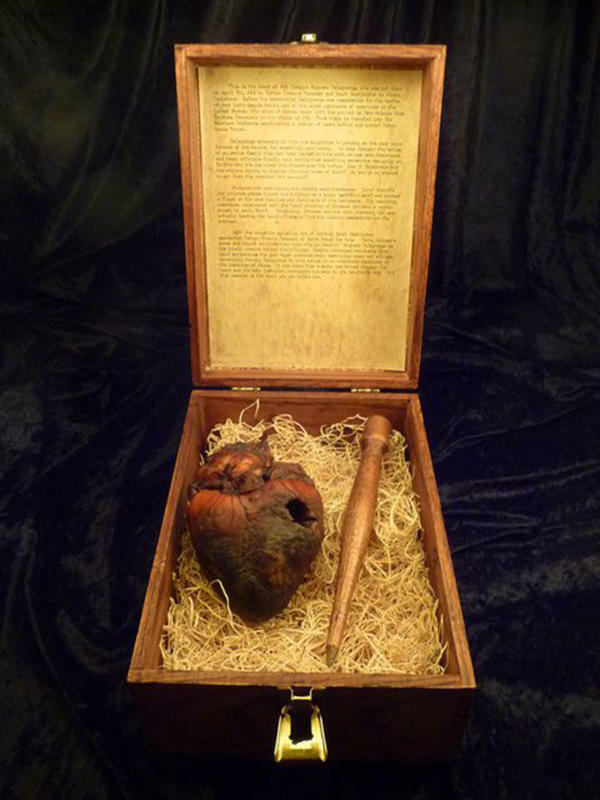 An photo of the mummified heart of Auguste Delagrange. He was said to be a vampire and was accused of killing several people in Louisiana. He died in 1912 by the hands of a priest and voodoo practitioner who drove a stake through his heart. 6. 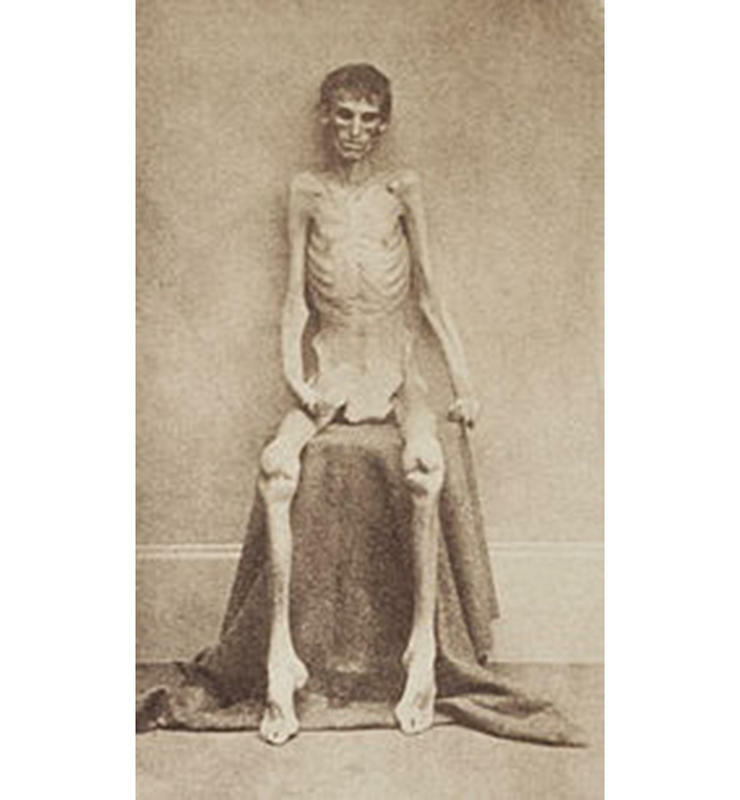 This is what a union soldier looked like after surviving the Andersonville Prison Camp. 7. 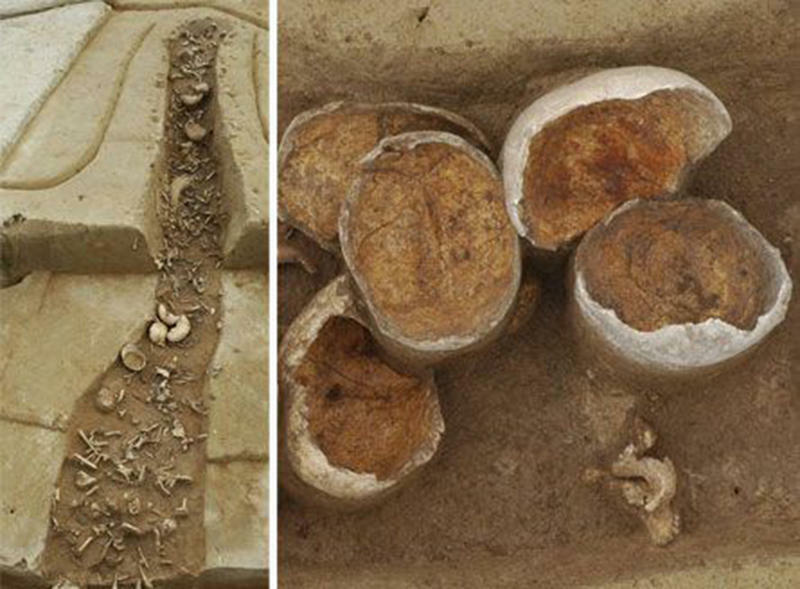 Found in the ancient city of Herxheim, Germany, and dates back to 7,000 years ago, these remains and artifacts found, show clear signs of flesh-stripping, a preparation for cannibalism. 8. 92-year-old John Bentley allegedly died of human combustion. 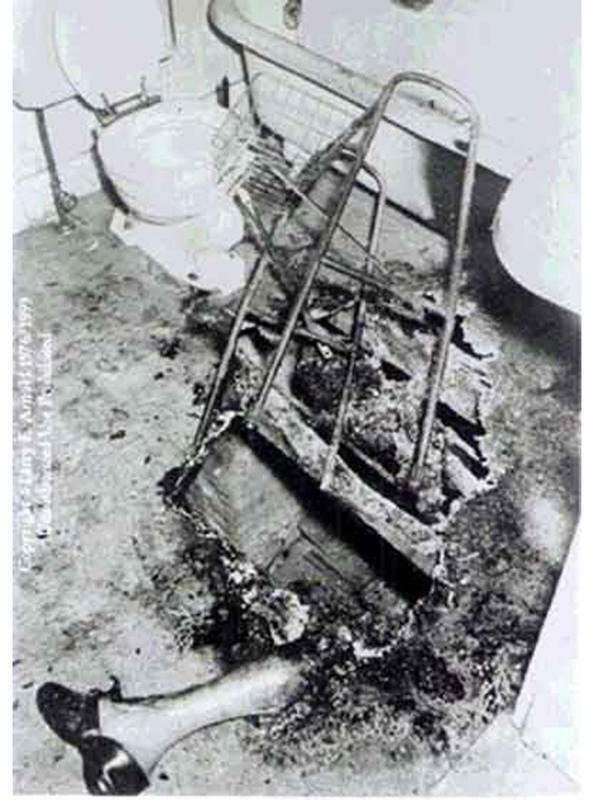 His leg shown below was found among the ashes in his bathroom. 9. Loana aka the “Bloodthirster." 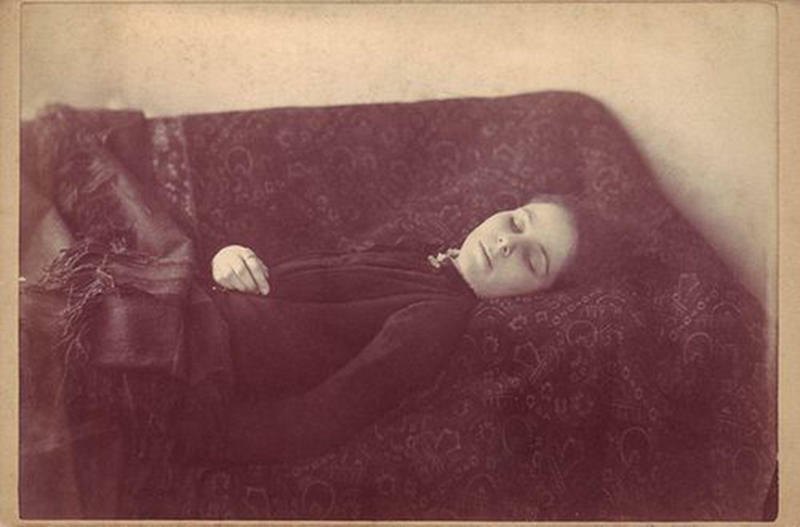 She was believed to have died in 1909. Cause of death? Drinking her own blood. 10. 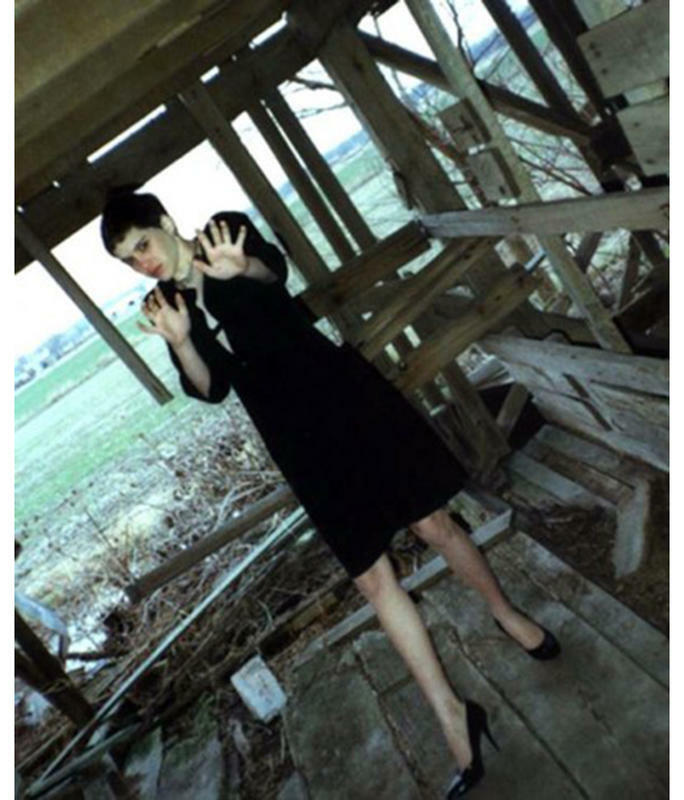 The last photo of 14-year-old Regina Kay Walters before she was killed by serial killer Robert Ben Rhoades. Rhoades had cut off her hair and had her wear a black dress and heels before he killed her in his torture chamber in an 18-wheeler. 11. 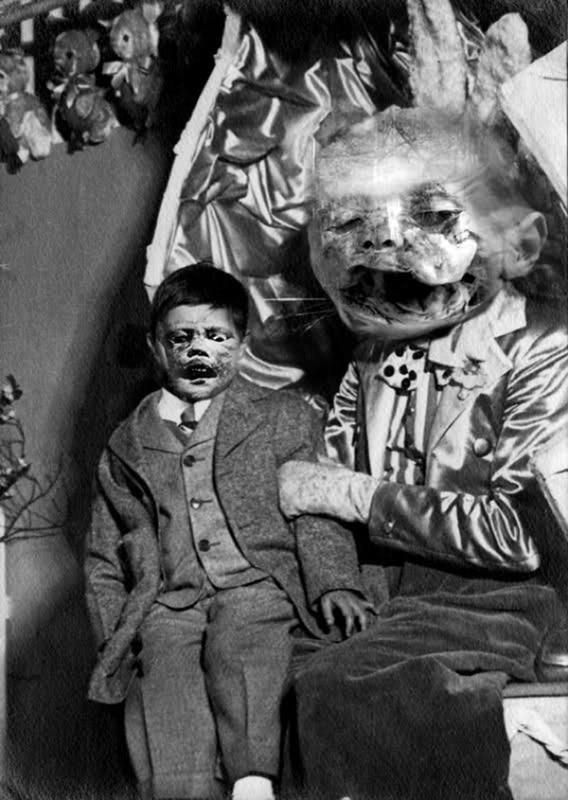 This creepy photo of a ventriloquist dummy is beyond spooky. No one's really sure whether this is real or just something from a horror movie set. 12. 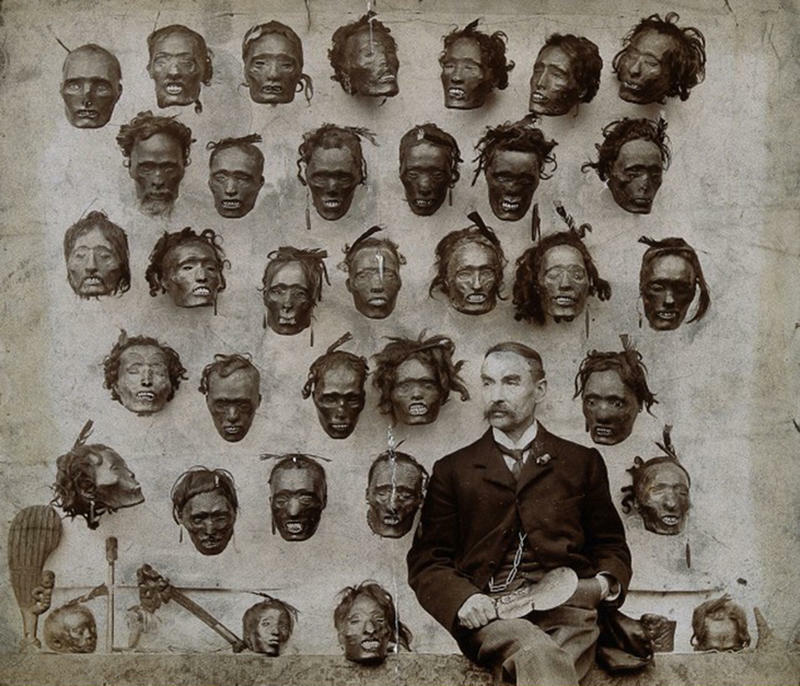 Soldier, artist and collector Horatio Gordon Robley posing with his collection of preserved Maori tattooed heads. 13. 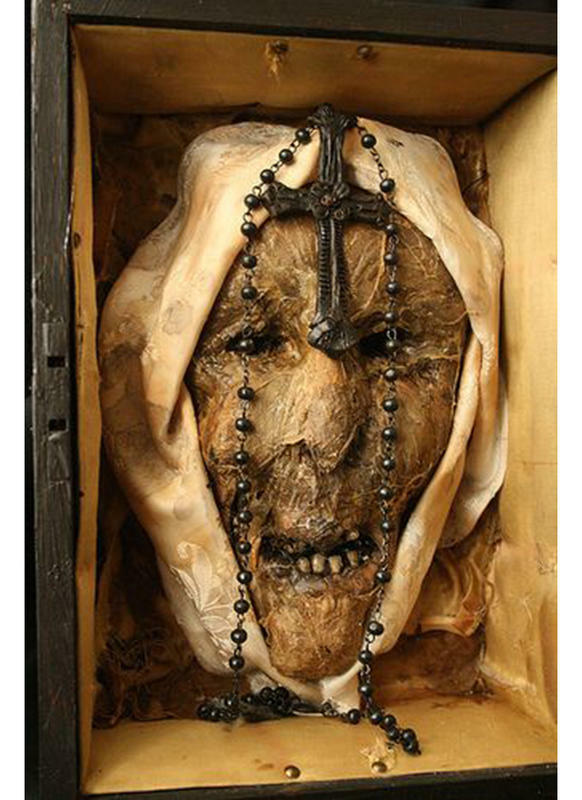 The mummified head of the first nun ever recorded to be possessed, allegedly. 14. Not a scary picture, yes. 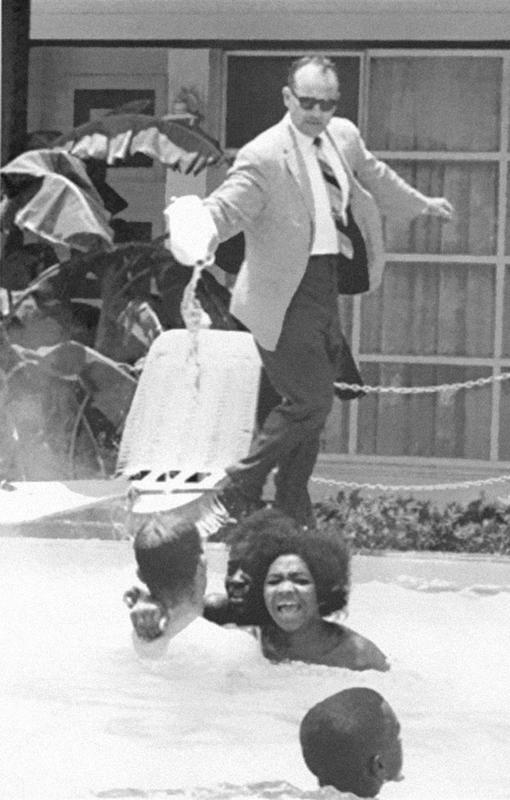 But this photo shows a hotel owner pouring acid into the pool as black people swim in it in 1964. Horrible.